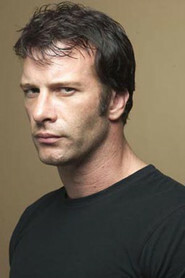 From Wikipedia, the free encyclopedia Thomas Jane (born Thomas Elliott III; February 22, 1969) is an American actor, known for his roles in the 1999 film Deep Blue Sea, the 2001 TV movie 61*, the 2004 film The Punisher and the 2007 Stephen King adaptation The Mist. He currently stars in the HBO comedy-drama series Hung. Description above from the Wikipedia article Thomas Jane, licensed under CC-BY-SA, full list of contributors on Wikipedia.